Depart Dublin Airport at 13:05 on a flight with Ryanair to Cologne. On arrival, you will take your coach transfer to Maastricht. This transfer will take approximately 1 hour and 20 minutes. Your hotel in Maastricht for your 3 night stay will be the 4* Hotel NH Maastricht. The balance is due on the 10th May 2019. The single supplement for the NH Maastrict Hotel €249. 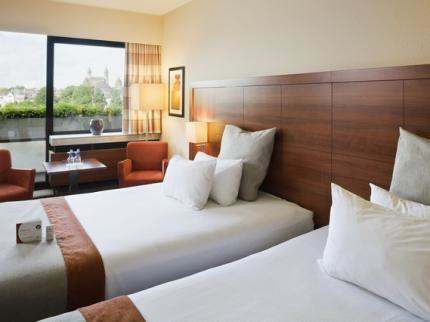 The NH Maastricht hotel is great for those who are here to enjoy the sights of Maastricht. The hotel is right next to a major conference centre, and you can easily walk or get a bus to the heart of the city. The hotel has 275 rooms. They’re either classically styled in warm colours or have a more modern, fresher touch. In its time, our hotel has had its fair share of famous guests, from Audrey Hepburn to Helmut Kohl and U2. It’s our privilege to look after everyone who stays here - whether they’re dining in one of our two restaurants or enjoying the spa and gym.